Little Angel - MyMagazines - Subscribe online and save. The coolest mag around for young girls! Each month, Little Angel brings the coolest comps, the most awesome posters, the cutest cooking and DIY pages and the most giggle-worthy blush moments. 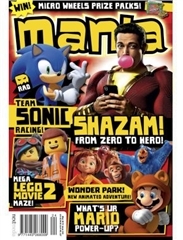 Plus the mag is packed with inspiring advice, wacky facts, pet care tips, movie and gaming goss, so-fun quizzes and brain-busting puzzles. Aimed at girls aged 5-10 who love reading magazines but are too young for the tween publications, Little Angel is a safe, educational and inspiring space for young girls to play. It’s entertainment to the max, and most importantly it’s all about enjoying being a kid! 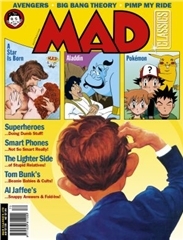 NOTE: SUBSCRIPTION COPIES DO NOT COME WITH LITTLE ANGEL FREE GIFTS AVAILABLE ON NEWSSTAND COPIES. SUBSCRIBE NOW AND RECEIVE A FREE PIXIES BOW PACK! 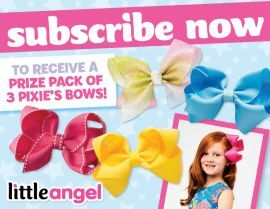 SUBSCRIBE TO LITTLE ANGEL NOW AND YOU’LL RECEIVE 3 MEDIUM PIXIE’S BOWS IN A VARIETY OF COOL COLOURS! Give your ponytail some extra pizzazz with Pixie’s Bows! These sweet hair accessories are so much fun, and come in a rainbow of pretty colours. Perfect for parties and special occasions, or bag a bow in your school colours and rock it during the week. Pixie’s Bows is an Aussie-based family business, run by Roxy Jacenko and her seven-year-old superstar daughter Pixie. 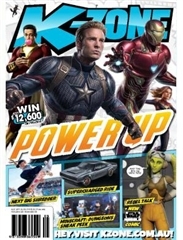 Free subscription gift offer available to Aust and NZ residents while stocks last. Expires 23:59 AEST 19/05/19. Savings based on cover price, inc GST. Subscriptions commence with the next issue to be mailed. 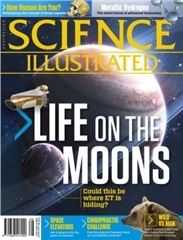 Please allow 6-8 weeks for delivery of your first magazine, and separate delivery of your free subscription gift (from 20/05/19). 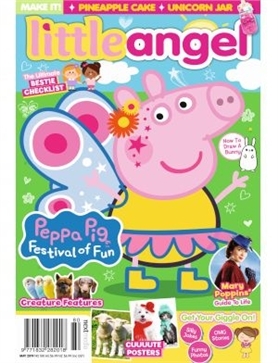 The Pixie’s Bows offer is open to Aust and NZ residents only who are new, renewing or extending print subscribers to Little Angel for a minimum of 1 year between 00:01 AEST 22/04/19 and 23:59 AEST 19/05/19 while stocks last. This month’s offer includes 3 medium Pixie’s Bows with a total value of $36. Our Privacy Notice can be found at www.nextmedia.com.au.